Much of North Texas is under a Winter Weather Advisory Monday morning. Val Lopez with TxDOT talks Tarrant County roads. 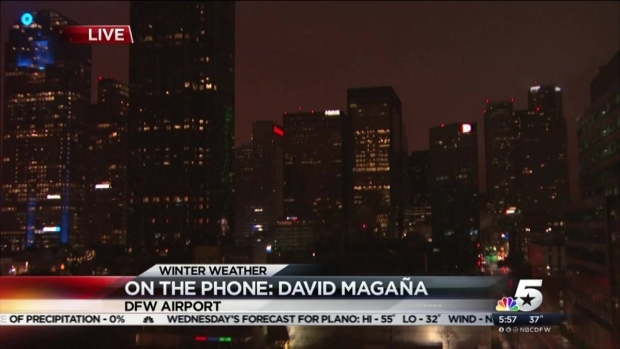 As of 5 a.m., nearly 9,000 North Texas residents were without power. Dallas and Rockwall counties reported the most outages, with 4,245 and 4,065 respectively. More than 400 outages were reported in Ellis County, 158 in Tarrant County and 54 in Collin County. About 50 departures have been canceled at DFW International Airport so far on Monday morning due to the weather situation. Dallas/Fort Worth International Airport officials advised all passengers with Monday morning departures to check their flight status before heading to the airport. "Passengers with confirmed flights are advised to arrive early at the airport and to be prepared for the possibility of delays," D/FW Airport spokesman David Magaña said. 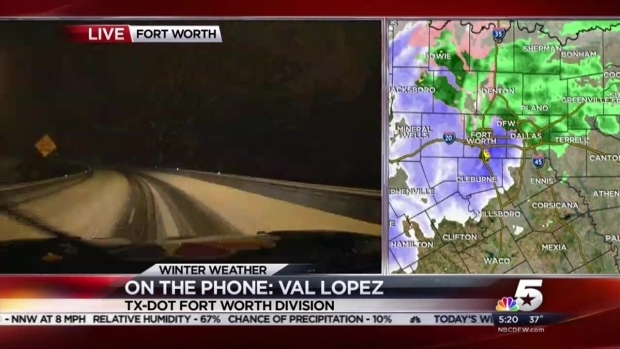 As of 8 a.m., 112 departures and 151 arrivals had been canceled at D/FW Airport. Nearly 30 departures and 38 arrivals were listed as delayed. At Dallas Love Field, nine departures and 12 arrivals were canceled. Seven departures and two arrivals were delayed. 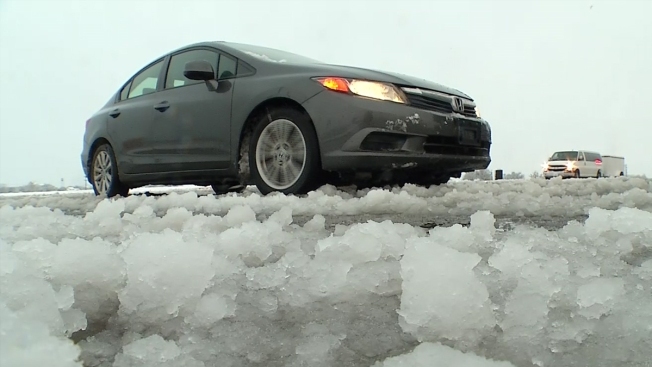 Monica Yantosh reports on the winter blast that hit Lubbock over the weekend.